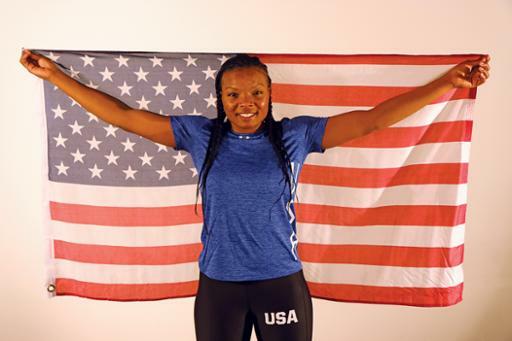 Cuyahoga Community College (Tri-C®) graduate Morelle McCane keeps fighting for her Olympic dreams. McCane won a bronze medal boxing with Team USA in the recent Strandja Tournament in Sofia, Bulgaria. Twelve boxers from around the globe competed in the women’s middleweight division. The tournament was McCane’s first competition out of the country. She joined Team USA after winning the USA Boxing Western Elite Qualifier and Regional Open Championship last year. She was also a 2018 National Golden Gloves champion. McCane told The Plain Dealer’s Branson Wright that the tournament was a great experience. “The outcome wasn’t in my favor, but I learned what I need to work on,” she said. The 24-year-old graduated from Tri-C in 2017 with an Associate of Applied Business degree. Lessons learned at the College helped power her plans to open a mobile fitness company called MoFitt The Movement. Tri-C featured McCane as a student success story prior to 2017 spring commencement.